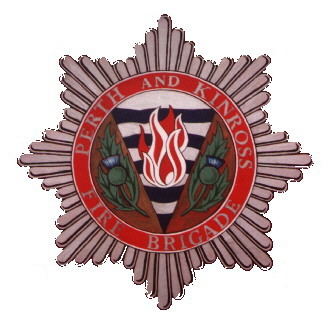 The Perth and Kinross Fire Brigade came into operation on the 16th May, 1948 under the Fire Services Act, 1947 covering the joint county of Perth and Kinross, and the burgh of Perth. The Brigade continued until Regionalisation on 16th May, 1975 when part of it went into the Central Region Fire Brigade and the remainder into Tayside Fire Brigade. 1948 to 1974 King Edward Street, PERTH. Kinloch Rannoch Vol. Kinloch Rannoch Vol. Unit formed 1960 Lochearnhead Vol. The site known as "Alt Vingan" would be suitable, enter negotiations to purchase. Negotiate with Police for surplus ground at new Police Station opposite County Buildings. In 1973 the Establishment of Retained Officers in Charge was 4 Station Officers and 11 Sub Officers.